During the 1940s, the most globally inclusive battle in the history of the earth was fought in the fields and forests of Africa and Europe, on the oceans of the earth, and in the islands of the Pacific. Among the combative participants in that war, the 101st Airborne Division became celebrated for its effectiveness and heroism on the battlefield. 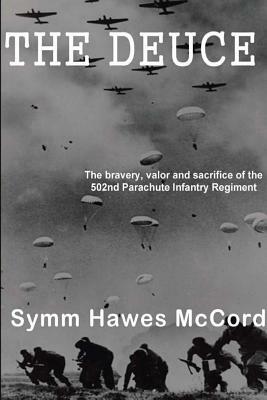 Within that division were several well-respected and heroic regiments, including the 502nd Parachute Infantry Regiment (PIR), a brother regiment to the 506th PIR of Band of Brothers fame. After training in the U.S. and England, the 502nd was dropped behind the lines of Utah Beach on D-Day beginning the epic story of the Deuce as they fought their way across Europe. Their story is represented in The Deuce by the fictitious 1st squad, 3rd platoon, Bravo company, 3rd battalion, 502nd Parachute Infantry Regiment, of the 101st Airborne Division. It reveals the heroism, valor and bravery of the entire 101st.